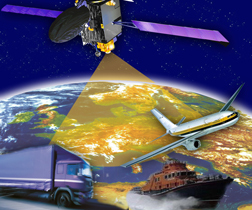 The launch of the GIOVE-A satellite in December 2005 began paving the future road for GNSS applications. Despite dismal predictions, Europe has worked efficiently, so far, to establish an independent GNSS: Galileo. And many positive indications suggest that the road will not stop here. Galileo will transmit a variety of signals in space supporting open, commercial, safety-of-life, and public regulated services. In the development of applications based on these services, industry needs to take an active role in the definition process. Manufacturers and service providers possess unique knowledge about the market as well as know-how in the area of industrialization. Furthermore, from the Galileo marketing point of view, industry has well-defined channels for securing fast adoption and diffusion of technology, which is a key criterion for a rapid and successful acceptance of Galileo applications, products, and services in the marketplace. Members of Galileo Services have and will continue to raise crucial issues around technology and solutions for applications and services to be implemented with Galileo. They also are playing important roles in leading Galileo research and development projects, primarily funded by the European Commission (EC). Table 2 describes these projects and the Galileo Services member acting as the coordinator of each. (All of these projects are funded under the EC’s Sixth Framework Program except for ARMAS III, funded by the European Space Agency, which is discussed later in more detail). To illustrate the crucial roles that industry plays in advancing Galileo and expanding the GNSS market in general, this article will describe European efforts to implement electronic road tolling systems that incorporate Galileo-based positioning. It will also discuss the need for developing accurate mapbases in implementing such systems. And it will explore how Galileo can exploit the technical advantage of signal authentication in its system design to build trust in Galileo’s commercial services. Finally, at the conclusion of this article, we will return to the role of Galileo Services, recent developments, and its plans for the future.